The Catholic Church of St Alesander lies on the northern side of the central park in Suwałki, Podlaskie Province, which is just a few kilometres south of the border with Lithuania. Tadeusza Kościuszki street borders the church at the nearby road junction on its eastern side. 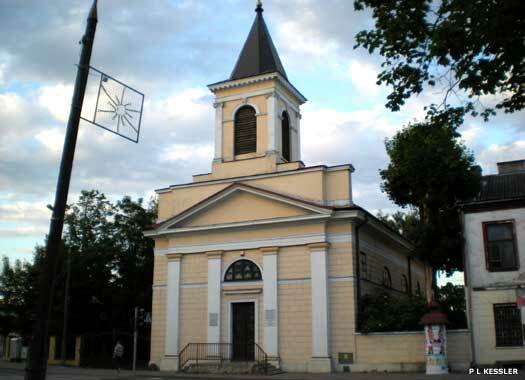 The church was designed by Chrystian Piotra Aignera between 1820 and 1825, and built in 1829. A redesign by Henryka Marconiego was applied in 1845. It contains the ashes of Edward Franciszek Szczepanik. The Orthodox Church of the Assumption of the Blessed Virgin Mary (Crerkiew prawosławna Zaśnięcia Najświętszej Marii Panny in Polish) stands on the north-west corner of Tadeusza Kościuszki and Adama Mickiewicza streets in the city of Suwałki. 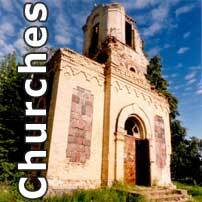 The Orthodox church with its long nave and three tier tower was converted to a Catholic church shortly before 1941, and possibly it is now known by the more simple title of the Catholic Church of St Mary (tzw. Mały Kościółek). The Lutheran Holy Trinity Church (Kościół ewangelicki) is located on the south-east corner of Tadeusza Kościuszki and Wigierska streets, facing out over the former, in the centre of Suwałki. 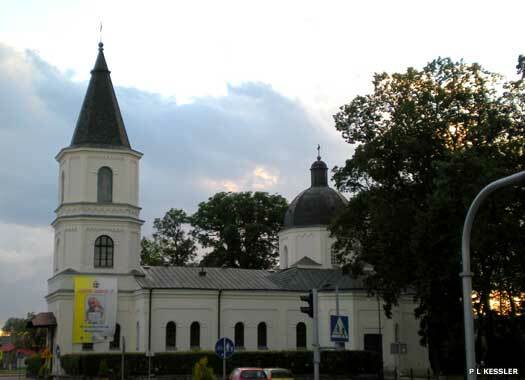 The church was erected between 1839-1841, built in the Classicistic style to a design by Karol Majerski (1800-1870 and born in Warsaw, Karol translates as Charles in English) and Karol Ritschel. From its opening the church was under the direction of the Evangelical-Augsberg Parish. 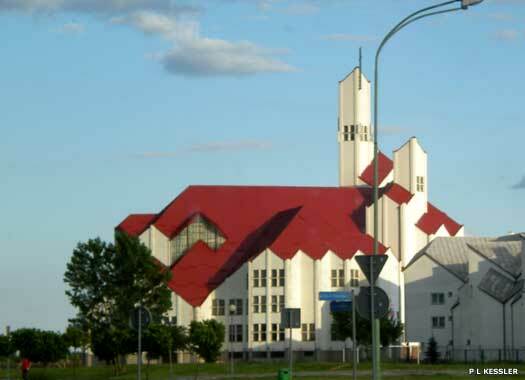 The Catholic Church of Suwałki occupies a plot well back from the road, on the eastern side of the main E67 Via Baltica highway, at the northern end of the city of Suwałki. It is a modern church building reminiscent of Evangelical architecture of the early twenty-first century. Although named as a Catholic church here, its denomination cannot be confirmed, and it may in fact be an Evangelical Lutheran church, a few examples of which exist in this strongly Catholic country.